Debunking The 10 Myths About Study Abroad! 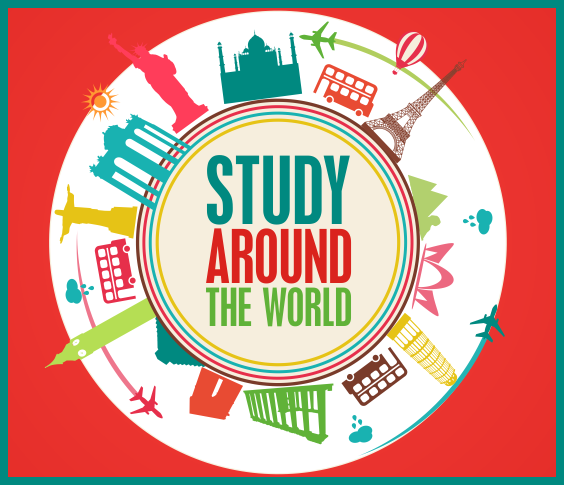 Thinking of studying abroad? Just like any major decision a person can make, there are a lot of opinions about whether to go or not go abroad for studying. Well, study abroad seems difficult to deal with. Many students don’t even consider studying abroad because of misinformation. Too many students mistakenly believe that there is no place in their academic plan for abroad or that it’s just a luxury that they cannot afford. There are a number of myths about studying abroad that make it seems like it is not an option. To clear the air, we are going to explore some myths and misconceptions about studying abroad. First of all, don’t forget that the most widely-used language in the world is English. It is also the language of England, Scotland, South Africa and New Zealand etc. and in most of the non-English speaking countries, you are offered a choice of study programs depending on your language level. Obviously! It depends on which field you select but lots of the time cost of living is lower when you are abroad. Students get financial support from the university and if you are eligible there are many external funding options as well and most of the time scholarship opportunities are also available. Maybe! But keep in mind that studying abroad is an opportunity to meet new people and make new friends. The number of students chooses to study abroad grow every year so you can easily find many other students in the same situation. You can also live with a host family at their home so you won’t feel lonely. This is not true at all! The colleges / universities take cares to make the campuses most secure but if you are still afraid so you can find a location which better suits you. Your country government websites can help you regarding this in finding most secure places to study abroad. Study abroad programs are for everyone. It does not matter which gender, country or religion you belong to. There are lots of programs available for studying abroad according to your interests. You can find them by searching via the internet. It’s not like that; you can pursue any course abroad. You can do your majors for almost every subject. Study abroad is for all majors and students of every field can benefit from it including engineering history, political science, medical, business or maths etc. That’s not true at all because of employer’s value study abroad experience of a person. It demonstrates that you are adaptable, open to new experiences. Almost all the teachers are very helpful to students or refer people who can help them in studies as other things as well. The students are also very helpful and friendly and welcome them in a very good manner. Many of the study abroad programs are short term and take place during summer. They don’t last for a year. Courses last for 3-4 weeks usually. Most of the students who meet the minimum qualification criteria and complete the process of application properly are easily accepted to study abroad. Most of the universities looking towards increasing the number of students studying abroad and working closely with students to find the program that best meets their qualifications. So, there you go! Some myths clarified! Hoping that with these clarifications of myths you can travel abroad without any misconceptions in mind.